Have you ever wondered how you could receive all that your heart would love AND use that inspiration to bring more joy and playfulness into your life? The answer is by playing the game of life, ‘The Wish’, channeled by Louise Laffey. It is in the direct experience of your connection to the source of creation and its flow through you, that you may experience life and yourself to your fullest potential. If you’re a conscious entrepreneur, small business owner or corporate refugee who is transitioning into a life that reflects your purpose & vision, then this would make your journey a whole lot more fun and exiting. This will benefit those of you looking at being of service, adding massive value and experiencing a sovereign life of abundance created from integrity & authenticity. Louise Laffey is the creator and CEO of the global phenomenon ‘The Wish’ game, a spiritual consultant, speaker & author. A metaphysical mentor with over 20 years experience, Louise travels the world teaching both individuals & corporations the power of wishful thinking’ in creating a life you love. Join Louise and Nicolas in this Podcast as they take you on an intuitive journey down the rabbit hole of expanding what is possible in your life now. I find that I take my journey of transformation & being on a mission too seriously. How can I bring more lightness and playfulness to my transitioning life? I feel that life tends to be hard, tough, challenging and I often don’t experience what I want. How can I consciously receive what I’d prefer while in my transition? 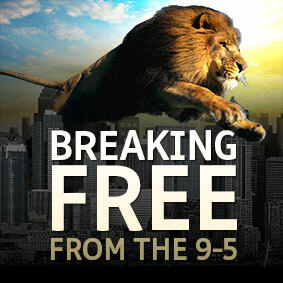 How can I integrate my transformation & clear my blocks easily on a day-to-day basis? Sometimes I feel detached from my vision & mission and I just want a break from the intensity of life. Why living your authentic life & being in tune with your heart will always lead you down the path of least resistance and be 100% supportive for you, if you can trust. The power of authentic conversations and how they can transform your relationships with all that you touch. The power of giving yourself permission. What does this look like and why is this so powerful. Uncovering resistance around asking and receiving and letting it go. ‘The Wish’ opens up the experience of life in flow and fun. It makes transformation and change feel effortless as you learn to maintain a feel-good, high vibrational state everyday and allow yourself to receive what you choose; it’s a win/win scenario! You will open doors to new experiences and opportunities that foster your growth and transformation, and lead you to discover what makes your heart truly happy. This game also strengthens your connection to the universal energy of creation, giving you a continual sense of guidance and support from life and the people around you. 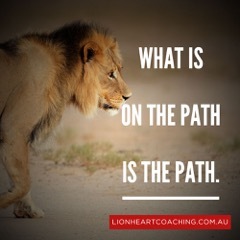 To stay in touch with Nicolas Perrin go to: https://lionheartcoaching.com.au/booking to secure a free 30 minute alignment session to see if we are a match and you are ready to step into your greatness and start creating the life you’d absolutely love. I’d love to learn from you in the comments below if you are in the process of wishing and letting in some new and wonderful experiences. If you’ve played “the Wish: do share your experiences below.